Flourless chocolate cake. Flourless chocolate cake is super rich and fudgy. Truly divine. If I ever see it on a menu, I order it without hesitation. Peppermint Chocolate Chip Milkshake. From Chik-Fil-A. Every winter. Mmm. Tuxedo cheesecake. Rich and smooth cheesecake with a coating of shiny dark chocolate. Yes, please! Peanut butter pie. 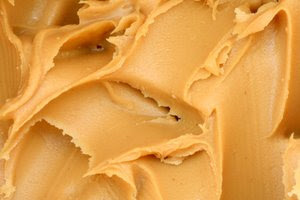 I have always loved peanut butter. Peanut butter ice cream, peanut butter cookies, and yep - peanut butter pie. Husband never wants to share peanut butter pie with me, so it is a rare treat. But every now and then, I just cannot say no.